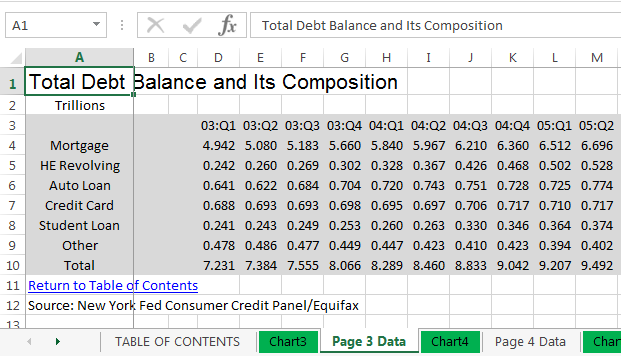 Import Excel data, transpose, and plot it! Of course you know how to create graphs ... But do you often find that preparing the data to plot is often the hardest part? Well then, this blog post is for you! I'll be demonstrating how to import Excel data into SAS, transpose the data, use what were formerly column headers as data values, and then summarize the data to plot. Here's a hint about the data I'll be using. 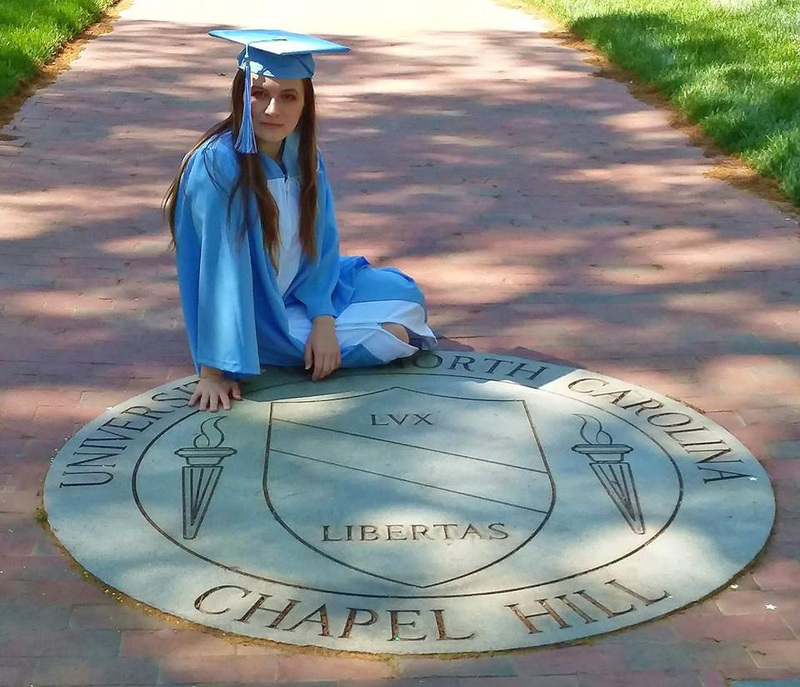 This is a picture of my friend Becky's daughter in her graduation cap & gown (thanks Becky!). Now can you guess what data I'll be using in my example? 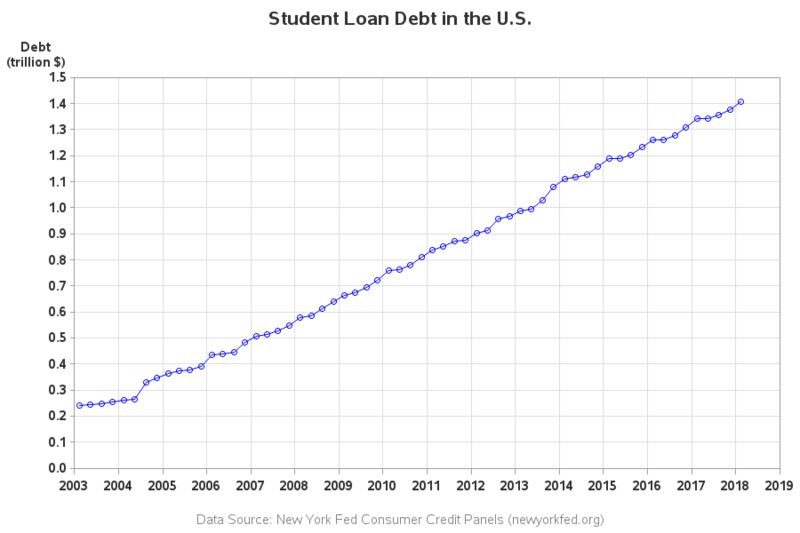 Yep - data about student loan debt! Although we've got the data in SAS, we can't really graph it like this. That's because the date (year & quarter) is encoded as part of the variable name, rather than as a value of a variable. That might be an efficient (normalized) way to store the data, but it doesn't lend itself to programmatically analyzing or graphing the data. It's a decent plot, but we're still not done. Rather than showing the debt each quarter, we want to show the % increase (or decrease) compared to the first year in the graph (2003). To do that, we'll need to do some data summarization. 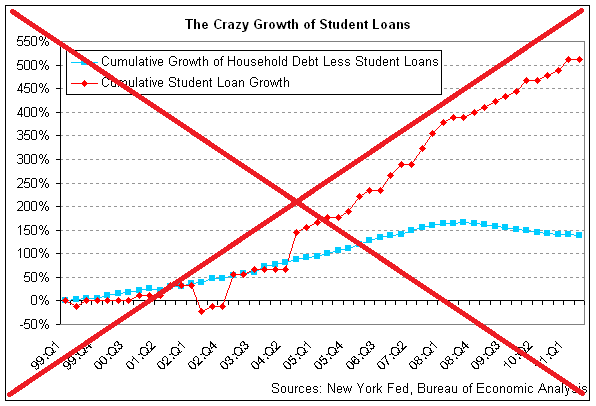 First I'll create two custom categories - one for Student Loans, and one for all the Other types of debt. And finally I calculate the % increase (or decrease) of each quarterly value, compared to the 2003 value I've stored in the macro variable). The quarter values along the bottom axis of the original graph were difficult to read, and impossible to relate back to the markers in the plot. I use years along the bottom axis, and draw a reference line between each year. I use fewer tick marks along the left axis, so it's not so crowded. I duplicate the left axis along the right side of the graph, so you don't have to visually follow from the end of the graph back to the left axis, to see what the values are. I use solid reference lines instead of dashed ones, so they don't distract from the data lines and markers. I don't include a border around the edge of the image file - their border of the graph, plus the border around the outside of their image, just looks too busy and cluttered. I use a more informative and tame title. Hopefully you've learned a few tricks to get data out of a spreadsheet, and into a form that is easier to analyze and plot. If you frequently work with data, I guarantee these tricks will be worth learning! Much nicer! Do we all get these warnings or notes? NOTE: No units specified for the HTITLE option. The current units associated with GUNIT will be used. NOTE: No units specified for the HTEXT option. The current units associated with GUNIT will be used. WARNING: Can not use MODE=RESERVE and POSITION=(INSIDE). Changed to MODE=PROTECT. WARNING: The intervals on the axis labeled "plot_date" are not evenly spaced. WARNING: No minor tick marks will be drawn because major tick increments have been specified in uneven or unordered intervals. NOTE: Foreground color WHITE same as background. Part of your graph might not be visible. 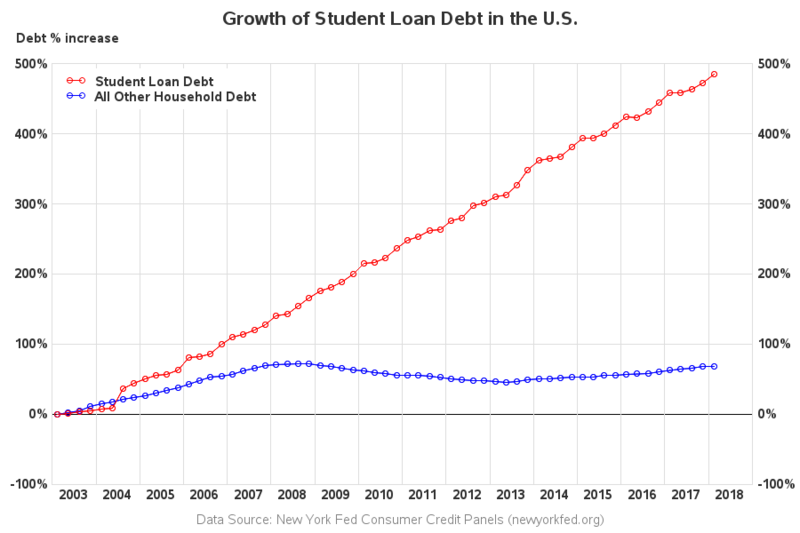 NOTE: Graph's name, STUDENT_, changed to STUDENT1. STUDENT_ is already used or not a valid SAS name. I usually ignore warnings and notes in the SAS log, as long as the graph comes out looking the way I want. You might be able to tweak the code so it doesn't produce the messages. You could have saved one programming step by using the data step with array processing and extracting the values via the scan function. Nice. What did you have to annotate the bottom axis? I wanted to center the year labels, rather than print them on the tick mark at the beginning of each year.